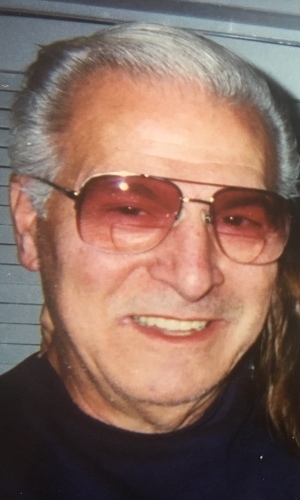 Obituary for Peter S. Emma | Wyman-Fisher Funeral Home Inc.
Peter (Pete) S. Emma of Chestnut Ridge, NY passed away at home surrounded by his family. He was 87. Peter was born June 27, 1931 in East Irvington, NY to Rocco and Grace (Zito) Emma. He grew up in Elmsford, NY and then lived in Chestnut Ridge for the past 60 years. He is predeceased by his loving wife, Marge, and his siblings, Joe, Katie, and Tony. Peter is survived by his daughter, Mary Emma of Elmsford, NY, his son and daughter in law, Mark and Linda Emma, his granddaughter, Amanda, the pride and joy in his life, of Thiells, NY. He is also survived by many loving nieces and nephews and friends. held Thursday from 4:00 to 8:00 PM at Wyman-Fisher Funeral Home Inc.